This week ƒ/D brings some more photos that I’ve been very excited to see. If there’s a common theme to these, I’d say that they’re all moments in transition. Vignettes of a story – a day at the pool; traveling cross country; the vanishing sun at the beach; the setting of another day in the backyard; or a deep, full breath in the expanse of nature. When you’re done enjoying these, I’d invite you to take a gander at the inspiration we’ve shared in the past. Nicolas Dollman took up pinhole photography to free himself of the technical minutia of other forms of photography, so that he could simply focus on the exposure. Furthermore, Nicolas describes the idea of photographing moment – telling a story – in time as opposed to a single instant as “poetic”. The practice introduces a bit of meditation and mindfulness to his photography, keeping him in the moment. Indeed – I love this photo because of the hint of a moment in the two figures at the end of the pool. He made this image with a Zero Image 6×9 with a red filter and TMAX 100. To enjoy more of Nicolas’s excellent work, head over to his Flickr page. 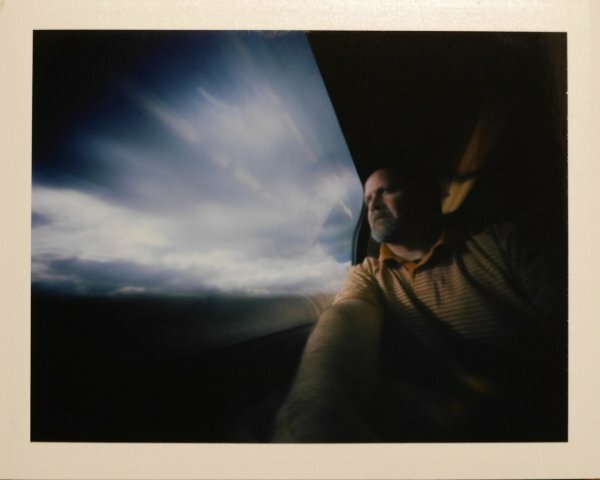 Craig Coss made this image with a Holgamods Da Vinci Mini Pinhole with a Polaroid back loaded with Fuji FP-100c. If you can’t tell, he’s on a train. Self portraits with the pinhole can be amazingly powerful. The trick is to work the angles and wide angle to your advantage – a standard self portrait setup will not do in pinhole. Craig really nailed it with this one! You can find more of his dynamic work at his Flickr page. I’m extremely jealous of Ingrid Budge’s eye. Last time we featured one of her photos, I stared at thing photo for at least an hour. She made this pano image on the west coast last year, although she doesn’t recall where. She used her trusty Sharan camera and “cheapo film”. Ha! Remember that next time you sweat the small stuff! You can find more of her inspiring work on her Flickr Page. 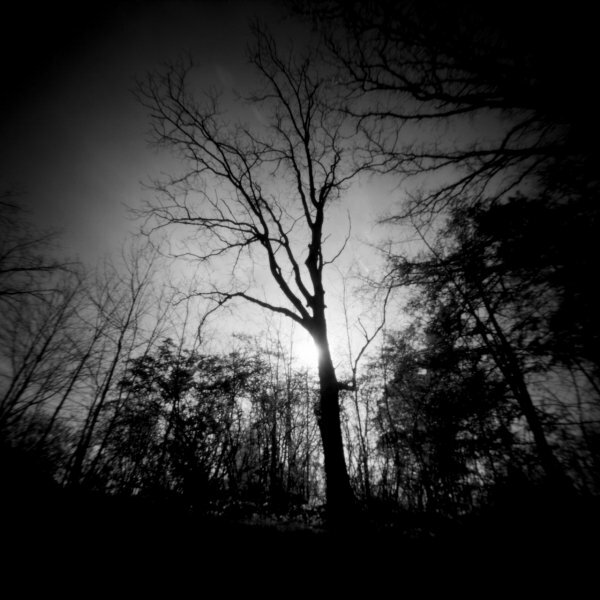 Darren Constantino made this moody capture of a walnut tree in the back yard in April for Worldwide Pinhole Photography Day. This is another example of the great results you get on pinhole when shooting into the sun. 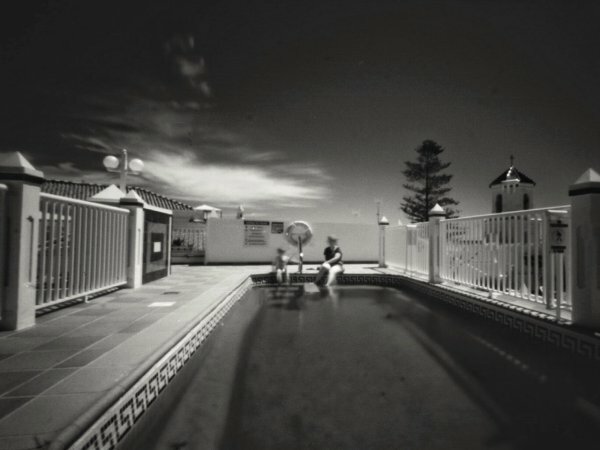 You can find more great pinholes from Darren on his Flickr page. Paul Bender produced this deceivingly minimalist scene with his Zero Image 612D on a cold, rainy day in Colorado’s Bear Creek Lake Park. 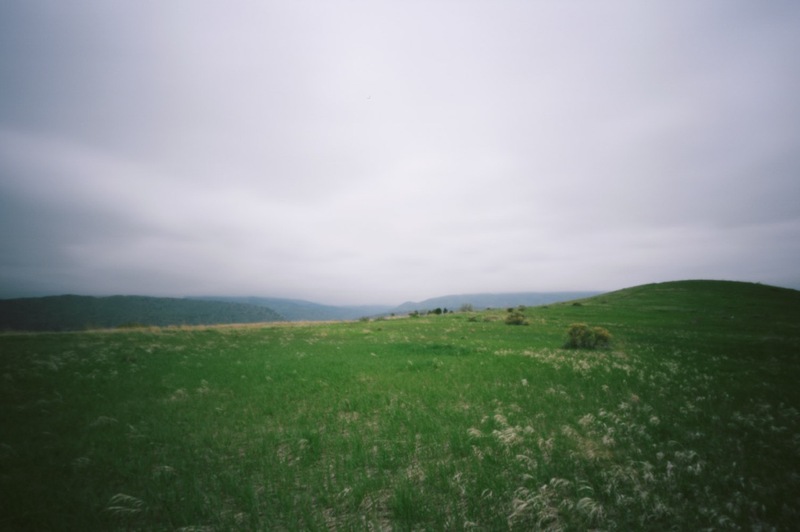 Paul’s story is one that we hear often: he spent time in digital, but it was pinhole that reignited his love of film and brought his photography “full circle”. The simplicity – the zen – of pinhole is a refreshing wellspring we can all appreciate. Paul has some more great pinhole photos on his Flickr account, and we encourage you to check them out.